Amongst the methods available for territorial research aerial survey through oblique photography occupies a place of its own. It permits the collection of data at the regional scale and in the process makes it possible to carry out more detailed analysis of particular locations or areas through repeated observation, with the capacity (within limits) to vary the degree of detail. The long history of this technique in the study of the landscape over very wide areas links it inevitably with the macro-territorial scale. In particular one might point to the ongoing National Mapping Programme for England, started in the late 1980s with the aim of systematically mapping all no-longer-used features that can be seen on vertical and oblique aerial photography across the whole of England. The basic principles of oblique aerial survey are substantially the same as those, which apply in vertical air photography. A key point feature of the technique is its flexibility in the choice of time of year or day to carry out the photography (subject, of course, to regional or national variations in response to the local climate). This allows the photography to take place, at relatively economical cost, when the cropmarks or other traces of the past are at their most visible. Also important is the aerial archaeologist’s capacity to vary the point of view in flight, and thereby to capture the photographs in such a way as to obtain the best return from the local conditions of lighting and crop developments etc. In addition, oblique images, in presenting a perspecitive view of the landscape (albeit sometimes relatively distorted), present a picture that is closer to everyday reality and therefore for most observers easier to appreciate in comparison with vertical images. This renders oblique air photography particularly useful both for the initial documentation and for its subsequent communication to others. Moreover, the technique can provide effective documentation not only of cropmarks and similar anomalies but also of classical and medieval structures and settlements in their rural or urban landscape settings. Real advantages accrue when the photographer is also the archaeologist who is himself studying the landscape, whether in the initial recognition of the evidence or in the stimulus that the aerial viewpoint gives to new ideas about its character or development. Among the limitations of active aerial survey there should be mentioned the inherent subjectivity and selectivity of the method, depending as it does on the personal abilities of the archaeologist photographer. Oblique air survey also suffers in comparison with vertical photography in lacking the latter’s inherent steroscopic properties and total coverage of the survey area. As a result there is difficulty in deriving precise and large-scale numerical comparisons for statistical or other analysis. These limitations, however, can be largely offset by combining oblique aerial survey with other techniques of remote sensing and/or with direct observation on the ground. 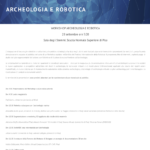 Within the strategic study of the landscape the capacity of exploratory aerial survey to reveal previously unrecorded sites or features, or to increase knowledge about known sites, varies according to the conditions of archaeological visibility from the air. The Province of Siena, for instance, without doubt represents the least favourable zone in any part of Tuscany for the occurrence traces of the past in the form of cropmarks, soilmarks or micro-refief—the University of Siena has documented around 450 archaeological sites during more or less systematic coverage of the province’s medieval castles but in the process has recorded only two cropmarks. The role of exploratory aerial survey in this province is therefore likely to remain fairly marginal in terms of new discoveries, even allowing for the fact that the work was started less than ten years ago (the need for perseverance in aerial survey is discussed in Palmer 2007). In Tuscany the opposite end of the scale of aerial visibility applies in some parts of the Province of Grosseto. 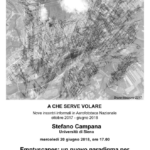 In Maremma, for example, aerial survey has a more even balance between the documentation of already known structures and the discovery of previously unrecorded features. Since 2005, therefore, the University of Siena has concentrated its attention on this area, with encouraging results, in particular for the Etrusco-Roman and medieval periods. Etrusco-Roman features are especially evident in the Albegna Valley, in Val d’Orcia and in the valley of the Ombrone, particularly in relation to communication systems and domestic or semi-industrial structures such as villas and farms. More specifically,our sample area near Roselle represents so far the most favourable stretch of Tuscany for exploratory aerial survey. Immediately to the west of the town there are clearly visible traces of buildings of various dimensions, along with communication systems and agricultural land-divisions. This area offers excellent conditions of visibility, conservation and archaeological richness.